After my trip to Costa Rica, my mouth fell in love with casado. 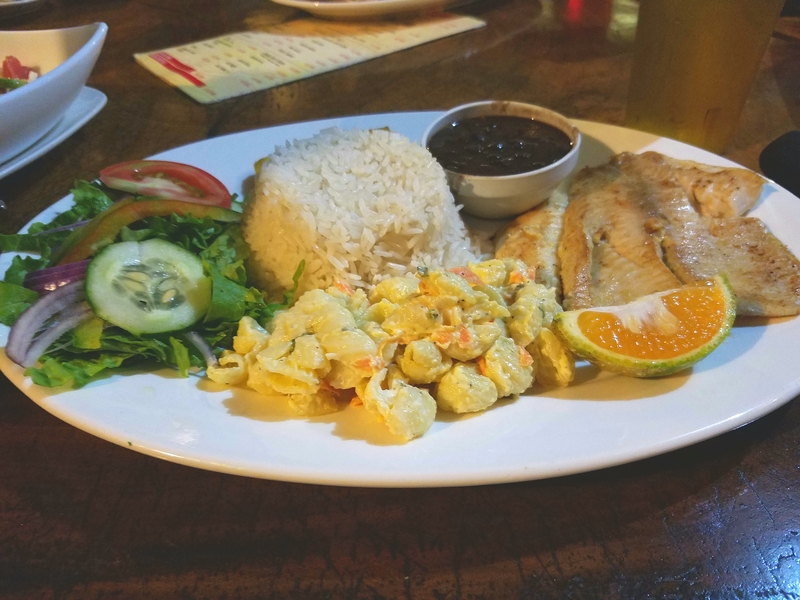 Made of rice, black beans, plantains, salad, a tortilla, and either fish, chicken, beef, or pork, this Costa Rican dish is a complete combination of the best ingredients. The first time I tried casado was at Bowie’s Point Bar & Restaurant, located right on Playa Hermosa in Jaco, Costa Rica. For my meal, I chose fish, which was mahi-mahi, and though the ingredients taking up my plate looked rather simple, it was a super tasty time. Below is an image of the delight itself before it met its maker. If you ever find yourself at the beautiful Bowie’s Point, do give it a whirl. Your lengua y estómago will say gracias. Once I returned home, I cooked up a meatless casado, and it was just as delicioso. I recommend to you the following recipe (of course, if you want meat, add it). Bring agua to a boil, then add the rice — I recommend also adding in about two tablespoons of butter (a bit more for more rice) for flavor and to keep the rice from burning to the inside of the pot. Next, turn the heat down to low heat, and cover the rice with a lid for 15 minutes. I think it’s best to let black beans soak for 24 hours. Once they’re ready, cook them on low heat in water for five to six hours. It may take less time, or more. Cook ’em to your liking. If you don’t want to wait, you can grab some canned beans and do your thing. Plantains are cheap and filling and good for you, so make sure you add this special kick to your fiesta of a dish. To prepare them for casado time, cut off the ends, make a slit down the long side, and peel off the skin. Then, cut the plantains into four large pieces. After you cut up as many plantains as your heart desires, heat up some oil and fry ’em until they’re golden brown. After they’re done sizzling, set them aside to cool, and then squish them down into plantain chips (fun alert!). To complete the recipe, make yourself a small salad, prepare a hunk of meat of your choice (if you prefer meat), and you’ll be Costa Rican dreaming. There’s nothing like a bright dish of colorful protein and carbs.